That’s right, this year there were TWO Colors of the Year announced by Pantone! 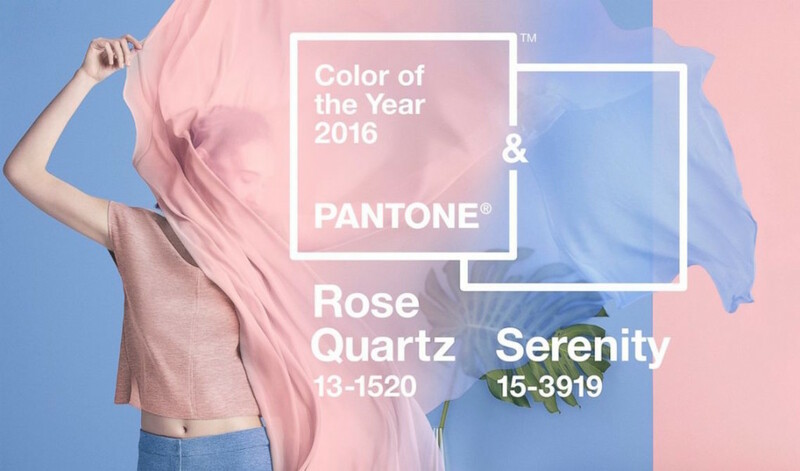 A duo of soft shades–Rose Quartz and Serenity–were selected for 2016. These colors have been described as such: Rose Quartz is a persuasive yet gentle tone that conveys compassion and a sense of composure. Serenity is weightless and airy, like the expanse of the blue sky above us, bringing feelings of respite and relaxation even in turbulent times. You can also find an interpretive video on the announcement page that visually expresses their decision for the year, and what it is about 2015 that led them to this choice. Two selections for Color of the Year also means less guesswork in making your flower arrangements, you have a complementary color built right in! 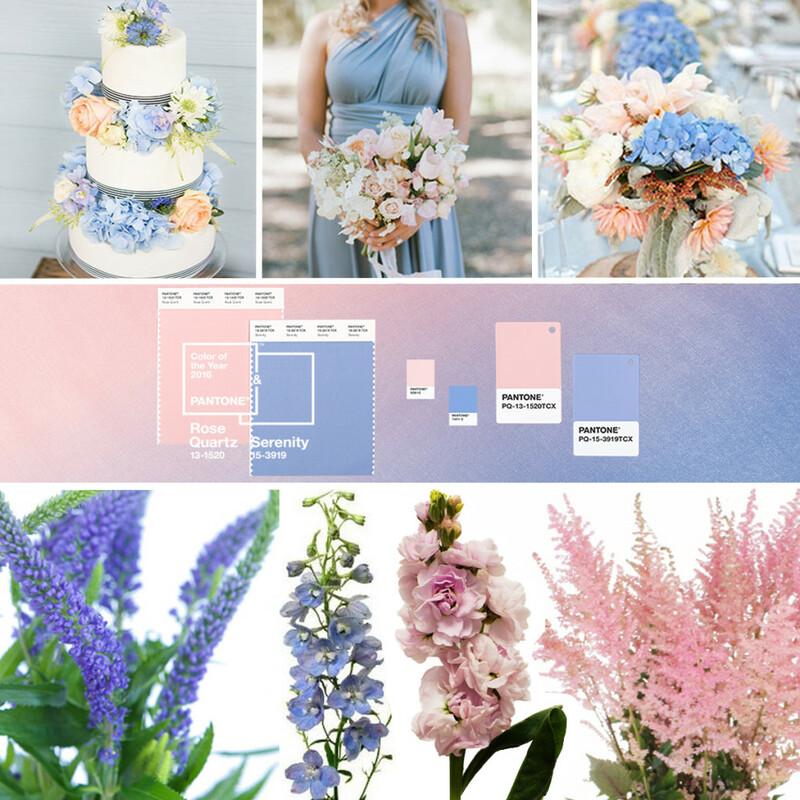 Here are some floral inspirations to incorporate these shades into your big event. Check out some more ideas on our new 2016 Color of the Year Pinterest board!